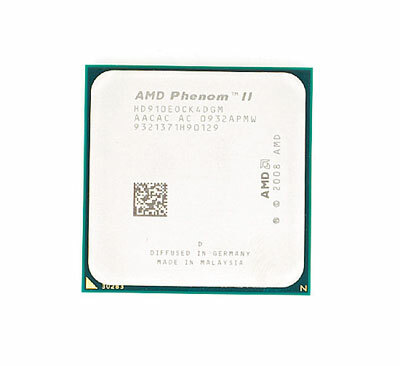 I was actually surprised by the number of folks who were interested in the Phenom II X4 910e. It's a voltage binned Phenom II X4 running at 2.6GHz that falls in a 65W TDP envelope. It's a pretty significant difference in voltage (and power consumption) but you do pay handsomely for the privilege. 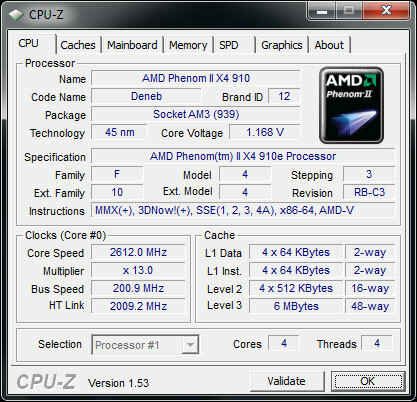 The 910e costs as much as a Phenom II X4 955: $169. That seems to be it until we get Zosma and Thuban in late Q2. See you then. althought this is old thread I felt I needed to post it here. I was astonished to find out the entire iX line of intel desktop cpus lack support for ECC memory. Although it's niche market but when considering workstation or file server build upon pc hardware there is real demand for ECC memory if you run long simulations or other HPC stuff. I wonder if the reason the 910e is so interesting is because, as a high-quality part, it might still overclock well, and the fourth core might also turn out to be available. The low multiplier might be a handicap though. Even ignoring the overclocking possibilities, though, this would be a good chip for a HTPC, since the low TDP allows for silent cooling, and it has plenty of performance for encoding videos. The fourth core would then be a nice bonus if available.